In today’s academic setting, every college student needs a laptop. While most college students are on a budget, a laptop with robust features that will last an entire degree program can, fortunately, be purchased for under $800. The best laptops for college students are ones capable of word processing, graphs and charts, and downloading lectures and other academic media. Since most degree programs include online classes, you will want to make sure your laptop is capable of high speed internet, and compatible with online modern application and sites such as Microsoft Office, and Blackboard.. Most college students will do a variety of work ranging from typical word processing to the advanced graphing of data. For this reason students will require a modern laptop, with applications including Office, especially Microsoft Word and Excel, Skype for video chat and tutoring, Adobe Photoshop. With these and other application requirements, modern college students will need at least 3GB of RAM, for quick memory, and a good CPU to process several applications’ data at once. You want to be conscious of what it is you are studying, and what you need from the laptop. For instance, if you are studying graphic design or editing then you may want a computer for video editing. If however, your studies are less processor demanding and portability to take your device between classes is more important, then a laptop for students is likely the choice. Aside from this students will need a webcam and a decent amount of storage space. While operating systems such as Linux and Mac OS can get many students through college, those in general degree programs will probably benefit from having access Windows-specific applications such as Internet Explorer. Aside from operating systems and proprietary software, there are several other considerations when buying a laptop for college students. Since students will be carrying the laptop around campus choosing a lightweight computer is sensible. Screen size is a big factor, as smaller laptops allow for more portability and fit easily into a backpack, some students may prefer larger screens. With larger screens comes more overall weight, in most cases, which is an important factor for students already lugging heavy books around campus. Students in graphics design programs and those who spend a lot of time typing may want larger models for more comfort. The Lenovo Thinkpad is a laptop that’s been around for over a decade. It has gained a great reputation as a reliable machine. At first sight users will notice Lenovo’s signature Trackpoint mouse, a red pointing device centered in the keyboard. Many students and younger users like this feature, as it can be used to scroll through websites and documents at high speed. The Thinkpad 14.1 inch model is small, but just about the right size for moderate amounts of word processing and great portability. It packs a punch in the specifications department. This model has 8GB of RAM which is enough memory to computer several tasks at once without a noticeable lag. This much RAM should satisfy any student, with the possible exception of those editing large video files, perhaps in film and movie industry related degree programs. The hard drive in this model is a Solid State Drive (SSD,) which is great for high speed file transfers. With a 14.1 inch anti-glary LED monitor that displays crisp HD this laptop is a steal at the price. ASUS has put forward a great laptop for students with the Zenbook model UX3205UA. Not only is it highly portable at just 13.3 inches across the monitor and total weight of just 5.5 pounds, it has a great specifications profile. With a 6th generation core i5 processor, this laptop will display HD graphics and process data in the background while never skipping a beat. It comes standard with a hearty 8GB of RAM, and a smaller but fast 256 GB SSD for storing thousands of pictures and hundreds of video files. The laptop is very stylish with a titanium gold appearance. This model also comes equipped with Windows 10, the newest OS from Microsoft. 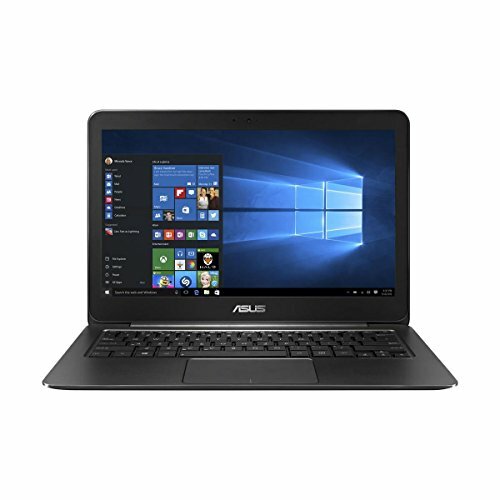 This ASUS Zenbook is average in terms of price, but you sure get a lot for your buck. HP Pavilions are a great choice for students because they offer the dependability and compatibility that HP has become known for. For students looking for something a little different, the HP Pavilion 13-s128nr is a great choice. It’s a 2 in 1 laptop, meaning it can be used as a traditional laptop, or you can flip the screen over and view it like a tablet for Netflix and other media. This 2 in 1 technology is perfect for students looking for a single machine to use both on and off campus. The 13.3 inch screen is fully HD and is powered by a sixth generation Intel Core i5 2.3 GHz CPU and great on-board graphics processor. The screen is also touch screen which makes the tablet functionality even better, with no need for a wireless mouse. This model included Windows 10 and 8GB of super fast SDRAM. Expect to pay around $550 for the Pavilion 12-s128nr. The Dell XPS is a great laptop for students because of it’s Microsoft Signature Edition status. 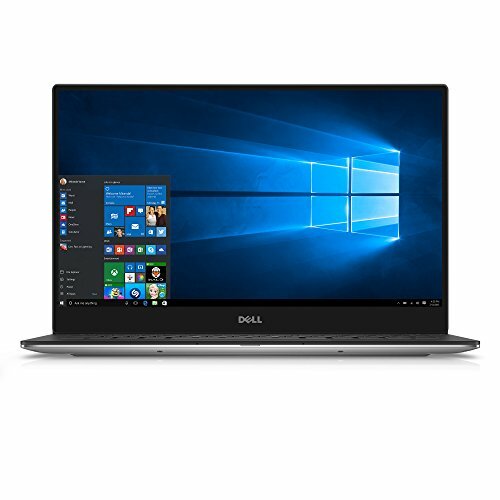 The XPS 9350-1340slv obtained the Signature Edition stamp from Microsoft for being highly efficient, rid of bloatware and super fast. 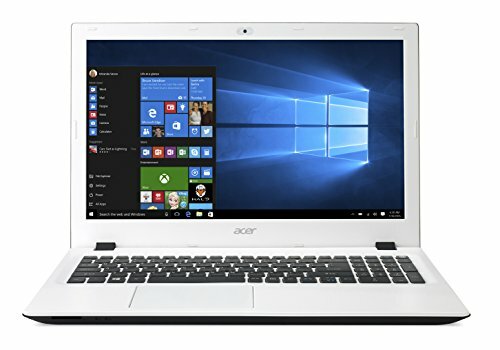 Students looking for a good clean academic computer without bloatware applications that rarely get used will enjoy the fast start-up and operational time of this PC. This XPS has an Intel Core i5 CPU and 8GB of RAM. Another great thing about this machine is it’s upgradability. You can add another 8GB of RAM in it’s second RAM slot giving you an option for 16 total GB of RAM, which is enough for super fast video editing. Students in college will also appreciate how lightweight this model is, weighing in at just 2.8 pounds. College students looking for a stylish, fast laptop will love this Acer Aspire E 15. It comes in cotton white, and has a large 15.6 inch screen for viewing HD video content. It boasts an Intel Core i5 CPU which is plenty powerful for standard student tasks such as writing essays and editing large picture files in Photoshop. 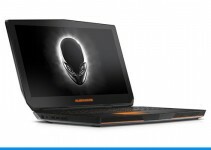 This laptop stands out in our list for having a special NVIDIA GeForce 940M Graphics Processing Unit (GPU.) College students in video editing or media related classes will love this feature, as it allows for great HD graphics without a lag. This GPU can also be used for gaming, which should please many students as well. This Aspire E 15 model has Windows 10 Home Edition and boasts a huge 1TB hard drive, meaning it can store hundreds of hours of video. 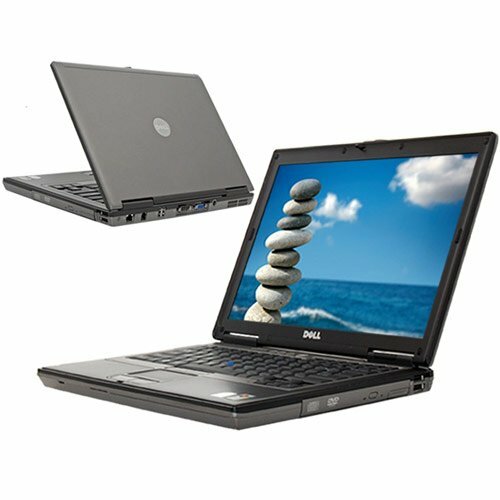 For students on a tighter budget the Dell Latitude D630 is a great choice. It delivers all the system requirements the average student will encounter, but with a very reasonable price tag. It has 2GB of DDR2 RAM which should be adequate for word processing, blackboard assignments and even streaming video. You can expand the RAM up to 8GB if needed, for extra speed while rendering video or better game-play. An 80GB hard drive should be plenty for your homework and thousands of picture files. This Latitude comes with a 14.1 inch LCD screen which is bigger than some of the costlier models, and has a Graphics Media Accelerator (x3100) to make sure your video comes across nicely without lags or slow buffering. With Windows 7 Professional, the Latitude can handle any standard software a student would need including Microsoft Office or photo editing software. 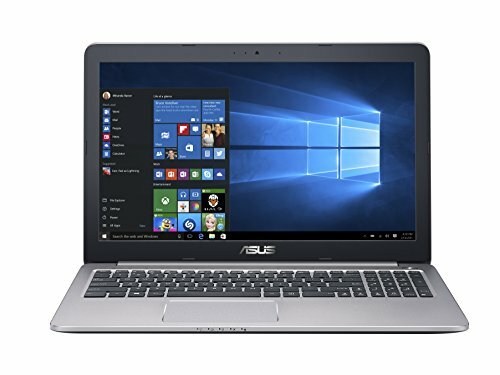 Make power-points, complete online course-work, and create and share video on a budget with this laptop. 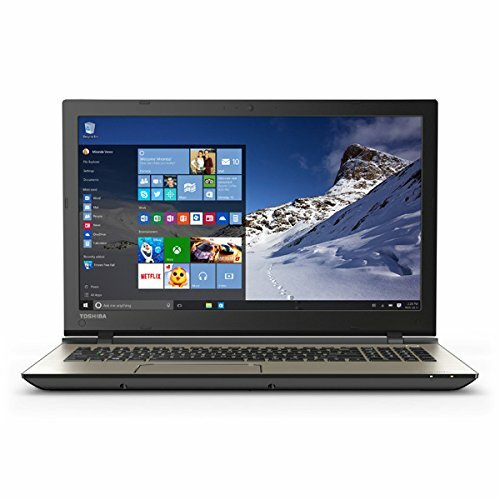 Toshiba has always produced high quality laptops, and the Satellite S55-C5274 is a perfect example of this. It’s really a great laptop for college students, as it a large 15.6 inch LED HD screen and excellent specifications. This Satellite has an Intel Core i7 CPU which is a great processor for resource intensive tasks such as video editing, and data compiling. Programmers and students in technology degree programs will love the 12GBs of cutting edge DDR3L RAM, offering huge potential for crunching lots of data at once without lagging. This laptop has a full Terabyte (TB) of storage space on an internal SATA hard drive, which is enough to store massive coding projects, hundreds of thousands of images or hours of HD video. The Satellite S55-C5274 has a stylish brushed black matte finish, and weighs just 4.8 pounds making it very lightweight considering it has a 15.6 inch monitor. This laptop has the most up to date operating system, Windows 10, so students needn’t worry about having to modern software compatibility. With the latest update on Windows 10, this model also features Cortana, a digital assistant that will help complete basic tasks and save users time. Cortana can even be set to activate by voice command. Students that still require optical media such as lectures of software on DVD will be pleased with the DVDRW optical drive, capable of copying 4 or 16BG discs in just minutes. With the most advanced and powerful processor on our list, the Intel Core i7, the ASUS K501UX is a real powerhouse. It can tackle any task you can throw at it including producing hours of HD video. The graphics card is an upgraded NVIDIA GeForce GTX 950M which should please any student in an advanced technology program, or who wants to use it for gaming as well as school. 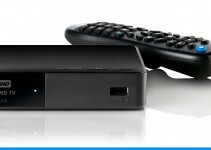 For excellent connectivity, this model has 2 USB 3.0 ports along with 2 standard USB 2.0 ports, and an HDMI out port. Couple this massive processing power with 8GB of RAM and you’ll soon see why the ASUS K501UX is the fast computer on our list. Students working on projects through the night will enjoy the backlit keyboard and comfortable trackpad. File sharing is easy with this laptop considering it has a dual-band WiFi receiver, a technology not seen in many competing models. With all these features, this ASUS is well worth the discounted price it sells for online. 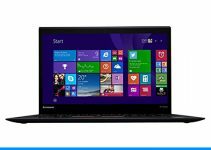 Another award winning laptop from Lenovo is the G70. Students who like to have multiple applications open and viewable at once will definitely appreciate this huge 17.3 inch screen. This makes for easy referencing papers while working on homework, essays and study guides. An Intel Core i3 CPU powers this laptop for fast word processing and media playback. This laptop has a very capable 4GB of RAM, so don’t worry about the system freezing up while taking a test online. Students on the go will enjoy the 4 hour battery life, which is great for getting your work done in cafe’s and waiting rooms. This Lenovo G70 has a 500 GB hard drive which is plenty enough storage to save all of your files, so there’s no real need for an external hard drive. 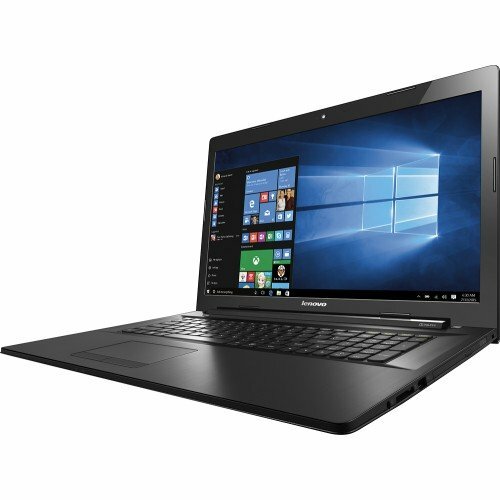 The G70 includes Windows 8.1 which is a great operating system, but is also upgradable to Windows 10 through the easy upgrade application. Another great product from HP is the Pavilion. 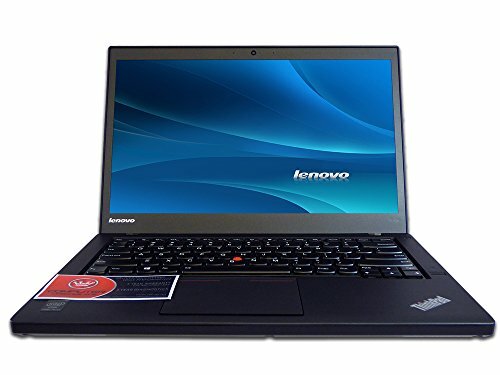 It’s priced right for students at just $500 and contains a powerful Intel Core i5 CPU. With one of the bigger screen sizes available in this type of machine, 17.3 inches, it makes for great presentation building and viewing. It has an LED backlit keyboard which makes typing in dim light much more comfortable. This HP Pavilion model comes with an updated 64 bit Windows 10 operating system which is as good as it gets when it comes to application and hardware compatibility, and safety of your files. The Pavilion also comes with 2 USB 3.0 ports and a high resolution webcam which can make conferencing an easy high quality process. Store all of your projects on its 1 TB hard drive, and create DVD copies of any important files with the super high speed multi-disc burner.